Select questions addressed below. If you have an additional questions, please Contact Us directly. What is the minimum amount of investment required? For investments in areas other than “targeted employment areas (TEAs)” the minimum amount of investment is $1 million. 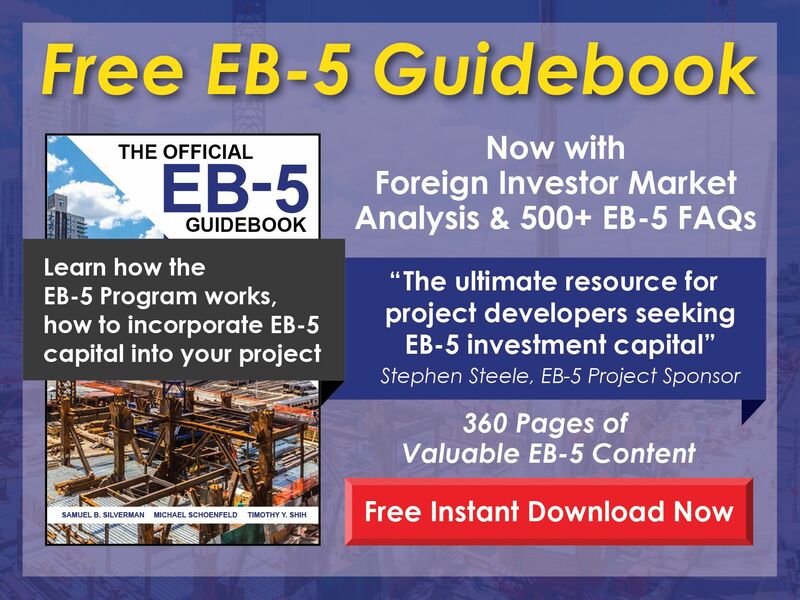 EB-5 investments that are located in a TEA and are associated with an approved regional center qualify for the lower investment threshold of $500,000. What is a targeted employment area, or TEA? A targeted employment area is a rural area or a geographical area that has experienced unemployment at a rate of at least 150% of the national average rate. States are authorized to designate geographical areas within the state that qualify as targeted employment areas, and this process is managed through various individual state agencies. When is the investment made? The investor must prove availability of the entirety of the funds and an actual legal commitment of the required amount of capital. A mere intention to invest or plans for a future investment where there is no present commitment of the funds will not qualify. 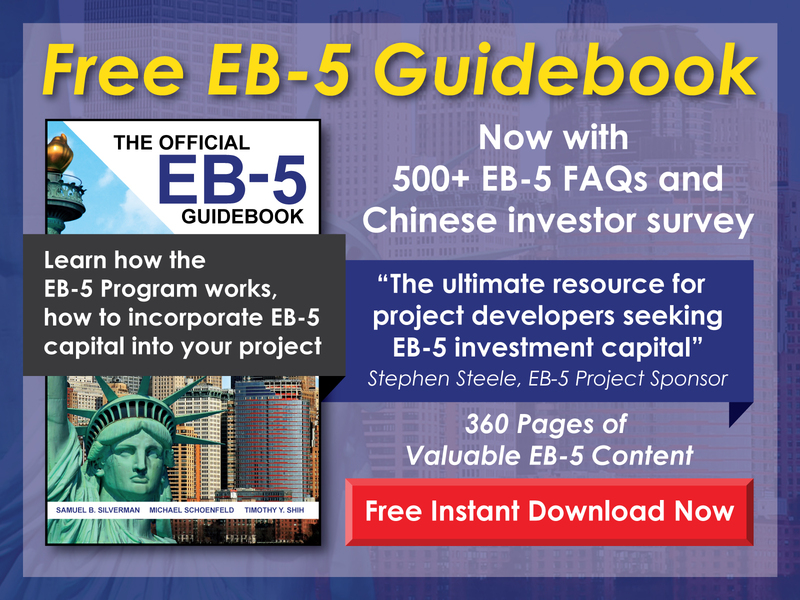 Most approved EB-5 investors have invested the full $500,000 or $1,000,000 at the time of application. Does the investor need to have any specific relationship with the U.S. business in which the investment is made? No, the investor is not required to own any specific percentage of the business, be an officer of the business or be an employee of the business. However, the investor must be engaged in some way in the business, whether through actual day-to-day managerial control, by being a member of the board of directors, or by being a limited partner in a limited partnership (most common). What is the requirement for the job creation component of the EB-5 program? The investment must create 10 full-time jobs for U.S. citizens or immigrants (permanent resident aliens and other specified immigrant categories). The required 10 jobs must last for at least 2 years, and cannot include the investor or the investor’s spouse or children. The 10 jobs must be for employees of the enterprise in which the investment is made and cannot include independent contractors. However, for approved regional centers, the creation of employment can include indirect and induced employment. What is the time frame for the creation of the 10 jobs? The EB-5 petition must document that the required 10 jobs will be created within a 29 month period immediately following the approval of the EB-5 petition. This job creation is evidenced in the investor’s I-829 application form. Can two or more investors qualify for immigration based upon a pooled investment in a single business? There is no limit to the number of investors who may qualify for immigration based on investment in a single business. However, each investor must invest the required minimum amount, and the number of jobs created must be equal to ten times the number of qualifying foreign investors. For example, if five investors each invest $1 million in a business, they can each qualify for immigration if 50 new jobs that each last at least 2 years are created in the business. Do all family members get conditional permanent residence status at the same time? The investor, his or her spouse and any unmarried children under the age of 21 can obtain permanent residence at the same time and through a single investment of the mother or father. Is the investor free to travel after obtaining conditional permanent resident status? The investor is free to travel in and out of the United States subject to the rules generally applicable to permanent residents. Specifically, the investor must maintain a residence in the United States and must not be outside the United States for a continuous period of one year or more, unless the investor has obtained a reentry permit. What is the procedure for an investor to qualify as an immigrant based upon the investment? Form I-526, “Immigrant Petition by Alien Entrepreneur,” must be filed with USCIS. The petition must be supported by a substantial amount of documentation proving that the investor meets all of the requirements of theEB-5 program. Have a question not answered above? Please contact us.